Located amidst the magical waters of the Great Barrier Reef, Orpheus is a secluded island hideaway accommodating just 28 indulged guests. 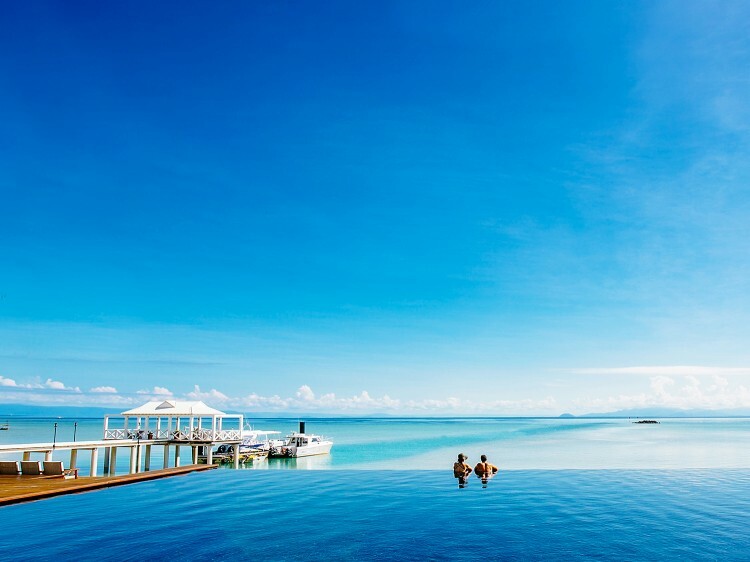 Located just 80km north of Townsville, amidst the magical waters of the Great Barrier Reef, the island stretches across 11km of immaculate turquoise coastline, and comprises of a pristine National Park and surrounding World Heritage-listed Marine Park. Access is either via a 30 minute helicopter journey from Townsville, or a 1.5 journey from Cairns. Accommodation rates include all gourmet meals, celebrating a bounty of locally-sourced and freshly grown and caught seasonal delights, a selection of Australian wines and beers, a daily Orpheus experience (snorkelling, fishing, island cruises). For an additional charge guests can take part in the island’s signature Dining with the Tides experience, an intimate dinner for two under a starlit canopy on the island’s jetty. Perfect as a holiday destination, a picturesque wedding setting, or booked in its entirety for exclusive use, Orpheus is very much a secret to the outside world and offers guests the ultimate in tropical escapism. North Wing accommodation is newly refurbished featuring natural colour schemes, blonde timbers, crisp white linen, 32 inch LED TV, iPod docking station, Bella coffee machine and Li’tya guest amenities to ensure a tranquil sanctuary for you to unwind in, whilst private terraces boast Coral Sea views, languid sea breezes and serene Orpheus sunsets. South Wing accommodation ensures utter privacy in a laid-back luxe setting. 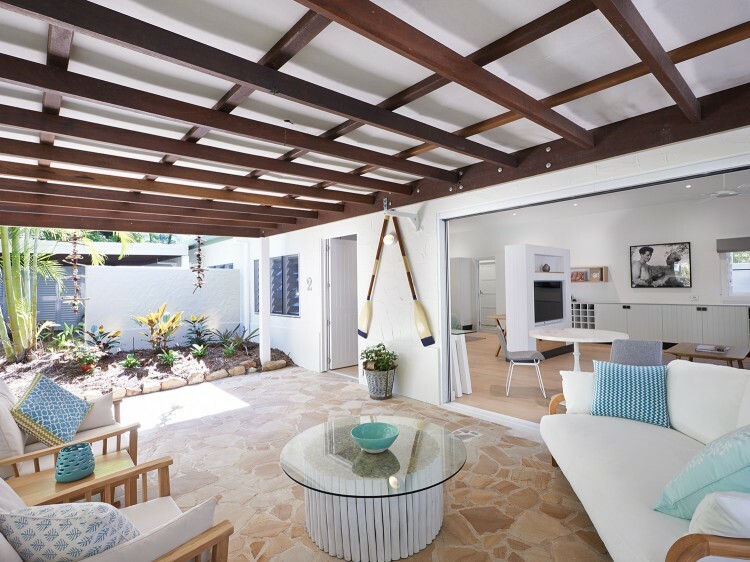 Just a stone’s throw from the water’s edge, surrounded by lush tropical garden and offering ocean glimpses, the bungalow-style accommodation is understated, yet homely. Natural colour schemes, crisp white linen, 32 inch LED TV, iPod docking station, outdoor and indoor shower and Li’tya guest amenities to ensure a tranquil sanctuary for you to unwind in. Complimentary - motorised dinghys, kayaks, stand-up paddle boards, Hobie sailing catamaran, Picnic & Hazard Bay walks, snorkelling, guided nature walk, fishing. 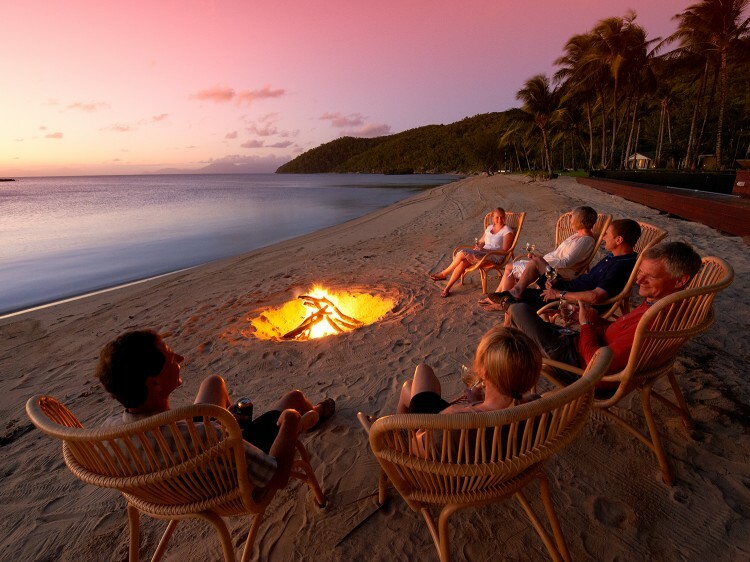 Other Activities (charges apply) - private boat charters, diving (certified and discover diving sessions), fishing expeditions, Hinchinbrook Island tour, Fantome Island tour, Sunset Cruise, Research Station tour, culinary Master Class with resort chefs, mixology class with bar staff. Best suited to the island’s tropical environment, Orpheus offers a light, contemporary and daily-changing menu that showcases the riches of the region through fusion cuisine. Celebrating a bounty of locally-sourced, wholesome and freshly caught and grown seasonal delights, each meal tells a tale and promises to stimulate both the mind and palate. Accommodation rates are inclusive of all gourmet meals and accompanied by a selection of regional wines and beers. Honouring a diverse selection of Australia’s finest drops, the Orpheus cellar features both iconic and boutique wines from the country’s most renowned wine regions. The collection has been carefully crafted to ensure a perfect harmony between cuisine, climate and environment. The culinary team is more than happy to accommodate any dietary requirements; as a remote destination it’s important that you advise of any requirements prior to check-in so any appropriate ingredients can be sourced. Dining with the Tides - The island's signature dining experience. One evening of your stay, opt for a private dinner on the pier backlit by the sun's setting rays over the Coral Sea. Your intimate dinner for two will be served under a starlit canopy and minimal interruptions will ensure a unique and romantic dining experience (extra charge applies). Gwandalan Day Spa - Gwandalan which means ‘rest and peace’ in the Aboriginal language. Peace guides every element of this spa. With a unique collection of treatments that embrace the principals of modern and indigenous herbalism, aromatherapy and touch therapy, our rituals are inspired by traditional Aboriginal techniques and aim to restore balance and wellness. The Gwandalan Day Spa uses the exquisite LI’TYA [le-dee-ah] spa product range - a unique collection of products formulated using sustainably wild-harvested, pure Australian botanicals and organic ingredients. Please ensure helicopter transfers are available prior to booking connecting flights to/from Cairns or Townsville. 2016/17 - Pricing $275 per person (one way). Children under 3 years fly free. The Nautilus Aviation check-in desk is located within Townsville Airport, next to the Qantas Service desk near the baggage carousel. Please meet at the check-in desk no later than 30 minutes prior to your scheduled helicopter departure time. 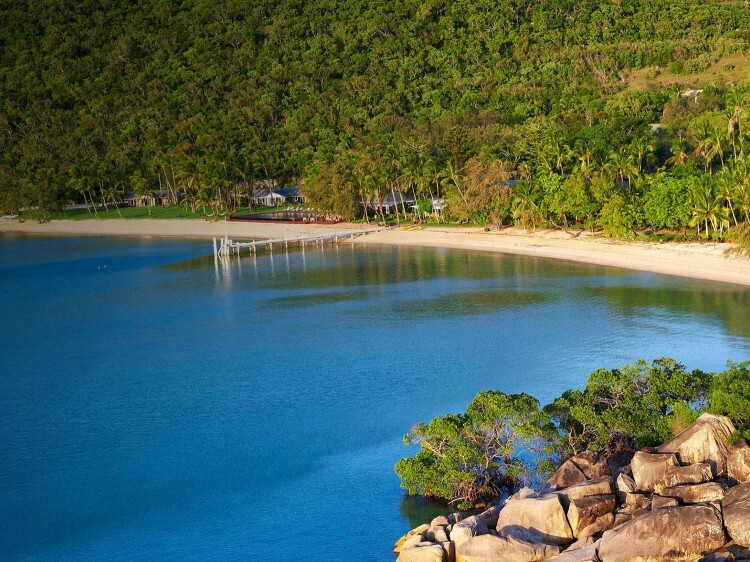 Easily accessible from Cairns Airport, enjoy a 1.5 hour helicopter transfer over the picturesque coral-studded sea, and the spectacular Hinchinbrook Island to Orpheus. 2016/17 - Pricing $670 per person (one way). Children under 3 years fly free. Domestic and International passengers arriving into Cairns Airport will be met at the baggage carousel by a friendly member of the Nautilus Aviation team. Keep an eye out for a Nautilus Aviation sign which notes your surname. For any guests making their own way to the Nautilus Aviation hangar, the address is: Hangar 9, Bush Pilot’s Ave, General Aviation, Aeroglen QLD. Passengers are restricted to one small bag, to a maximum of 15kg in total. Duffle or cabin bags are preferred as they are easier to load in the helicopter boot. Should you have excess luggage, please advise the pilot as it can be safely stored whilst you are on Orpheus. Be aware that in some instances the pilot may ask you to re-pack into a supplied duffle bag if your luggage is too large! A hotel-style room with luxurious king or twin beds, private terrace, WiFi access and mini bar stocked with complimentary beverages + Tea Drop black and herbal teas. Room size 32.5sqm. Features separate lounge and bedroom areas, luxurious king or twin beds, private terrace, WiFi access and mini bar stocked with complimentary beverages + Tea Drop black and herbal teas. Room size 56sqm. Consists of interconnecting North Beachfront Room and North Beachfront Suite making it a two bedroom, two bathroom villa with separate lounge, luxurious king or twin beds, private terrace, WiFi access and mini bar stocked with complimentary beverages + Tea Drop black and herbal teas. Room size 89.5sqm. A hotel-style room with luxurious king or twin beds, private patio, indoor and outdoor private shower, WiFi access and mini bar stocked with complimentary beverages + Tea Drop black and herbal teas. Room size 46.2sqm. The perfect choice for couples and honeymooners complemented by private cobblestone courtyards at the rear with an outdoor stone bath big enough for two. Luxurious king bed, WiFi access and mini bar stocked with complimentary beverages + Tea Drop black and herbal teas. Room size 68sqm.